When doctors actively work with cannabis users to optimize medical treatment, patients with conditions like Crohn’s disease may finally find a safe and effective treatment. Medical researchers based in Ohio recently surveyed the prevalence of symptoms of Crohn’s disease in cannabis users and non-users. The rate of problems were 40-70% lower in cannabis users. Two thirds as many cannabis users had active symptoms like abdominal abscesses. And cannabis users were almost three times less likely to require TPN, an intravenous nutrient. According to the medics, “our study suggests that cannabis use may mitigate several of the … complications of Crohn’s disease among hospital inpatients.” One reason this report is so exciting is that the cannabis users were not receiving systematic guidance. The effect size is already large, but the potential for treating Crohn’s with cannabis will improve even more as doctors gain education and are able to assist patients in optimizing their cannabis regimen. It’s noteworthy that this survey didn’t specifically examine CBD, which has shown promise for ameliorating Crohn’s and other autoimmune disorders. A few other limitations should be mentioned. The survey doesn’t assess the cannabis dose, frequency of use, or chemical profile. 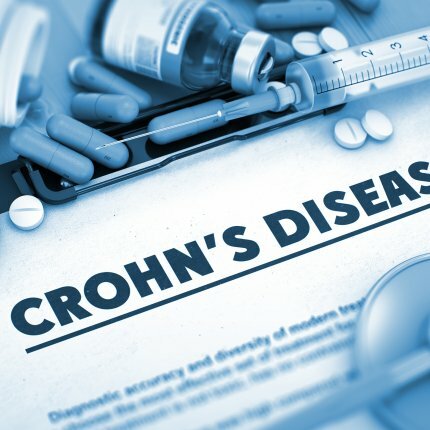 Crohn’s is more prevalent in women, but only a third of the respondents were female, so the study may overemphasize atypical patients. And finally, association does not prove causation — there could be something common to this group of cannabis users that drives the association other than the herb itself.